Dog food allergies are caused by a hypersensitivity reaction one or several ingredients in the dog’s food. To find out the ingredient(s) to which the dog is allergic, an elimination diet is fed. Upon identification of the culprit ingredient(s), a hypoallergenic dog food can be fed to the dog – this is the only way to treat canine food allergies. Canine food allergies are not as common as atopic dermatitis and dog flea allergies, and occur in less than 10% of all dogs. Unlike canine atopy which usually affects dogs in spring and fall seasons, dog food allergies affect dogs all year round. Food allergies are caused by an allergic reaction to one or even several ingredients present in the dog’s food. Dogs can become allergic to common ingredients such as chicken, eggs, fish, beef, pork, grains, soy products, dairy products, such as milk and cheese, various food additives, and so on. To become allergic, a dog must have been exposed to the allergen once or more. In many cases, the dog starts developing food allergies after having eaten the same diet for at least 2 years. 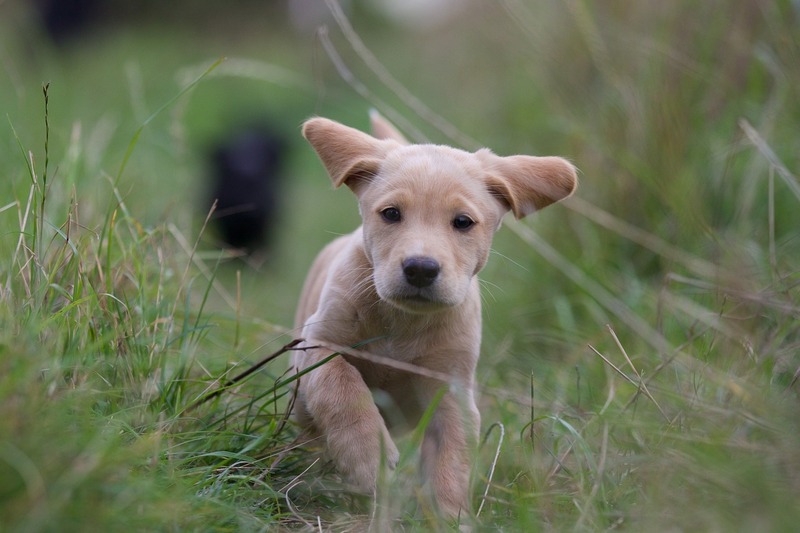 Canine food allergies are most common in dogs over 2 years of age, but sometimes can be found in younger puppies as well. The main symptom of canine food allergies is intense itching, sometimes the itching is accompanied by other skin problems such as skin rashes and hair loss. Characteristically, the rashes appear on the ears, feet, backs of the legs, and the underbelly. 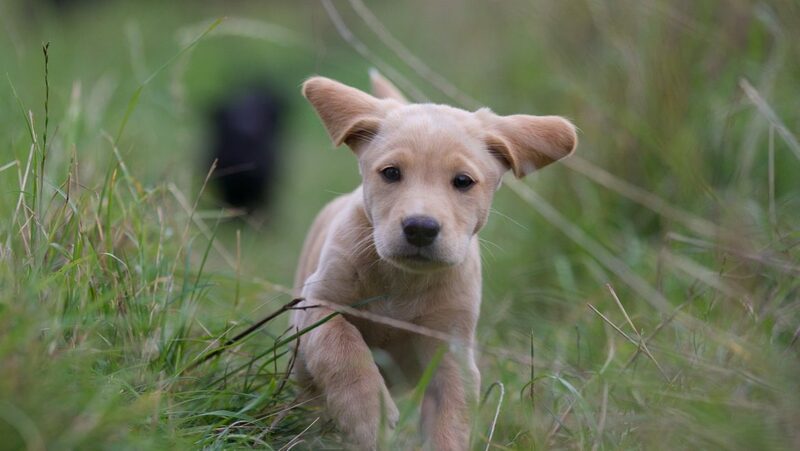 Many dogs will start by developing a red, moist rash in their ears. In fact, dogs with food allergies tend to have recurrent ear problems, particularly yeast infections. Since canine atopy and flea dermatitis are more common than food allergies, very often dogs with food allergies are misdiagnosed as having one of those two common dog allergies. Food allergies are non-seasonal so dogs with food allergies show persistent symptoms all year. Conventional allergy medicines such as corticosteroids have no effect on the allergic symptoms (e.g. itchiness) brought on by food allergies. Dogs with food allergies tend to have more digestive upsets (such as gas, or diarrhea). To diagnose canine food allergies, the veterinarian usually puts the affected dog on an elimination test diet and watches for a definite reduction in symptoms such as itching and skin rashes. Here’s how an elimination diet works. The dog is fed a diet that contains ingredients that the dog has never eaten before. This diet is continued for 12 weeks. Normally, the food consists of 1 part protein and 4 to 5 parts carbohydrate. It could be salmon and rice, or duck and potato, and so on. During these 12 weeks, it is extremely important that the dog is fed ONLY the novel food items and clean water – NO treats and table scraps, not even the chewable heartworm preventive medicine that many dogs are put on. If your dog is on an elimination diet, you need to ask your vet for an alternative heartworm preventive. Usually, you will see the itching improve in several weeks. 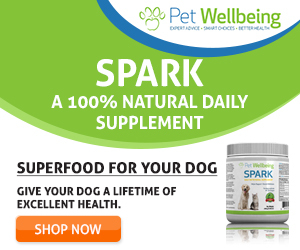 When you see an improvement in your dog’s symptoms, you then start adding different food ingredients (one by one) back to his diet until you notice once again a deterioration in the symptoms, in which case the last food item added is the one that causes allergic reactions in your dog. Once the food items that cause an allergic reaction in your dog have been identified as described above, the solution is easy. Just stick to the hypoallergenic dog foods that DO NOT cause any allergic reactions to your dog! Your dog can be fed the appropriate hypoallergenic diet indefinitely. Addiction Raw Dehydrated Grain-Free Dog Food : This hypoallergenic dog food uses rare food items such as venison, kangaroo, etc. It is also additive-free. The raw meat, veggies, and fruits are gently air-dried to keep the ingredients fresh and retain vitamins and enzymes for maximum nutrition. Wellness Simple Natural Dry Limited Ingredient Dog Food : This hypoallergenic diet uses only one Unique Meat Protein plus one Carbohydrate with 3 other essential supplemental ingredients. It is all natural and does not contain chemicals such as additives, artificial colorings and flavors. Simple but nutritious.